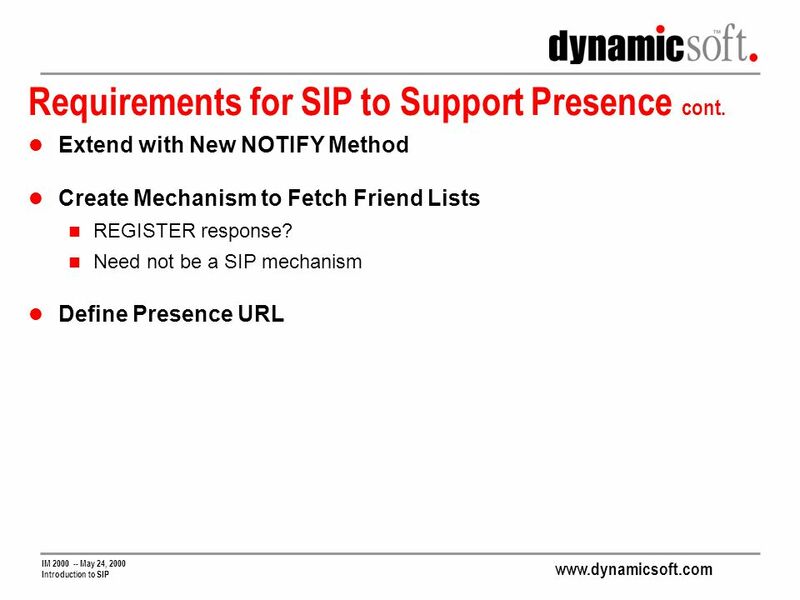 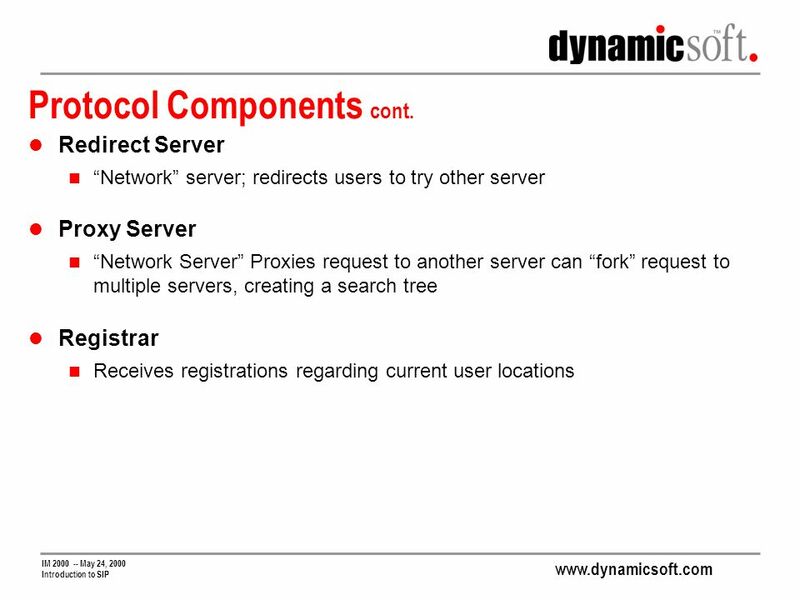 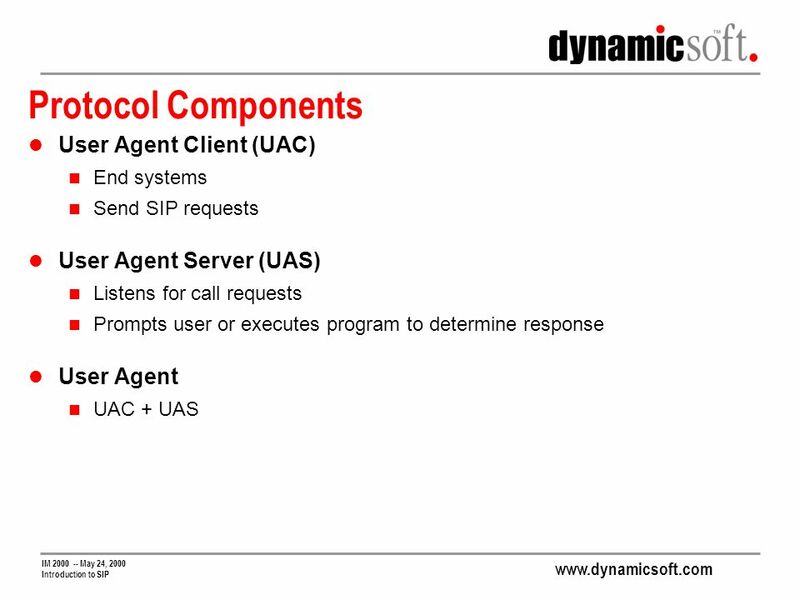 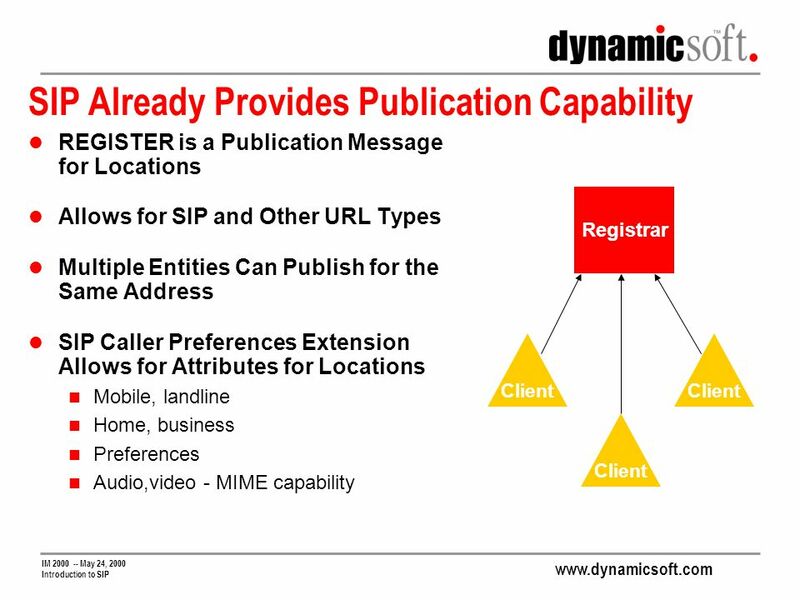 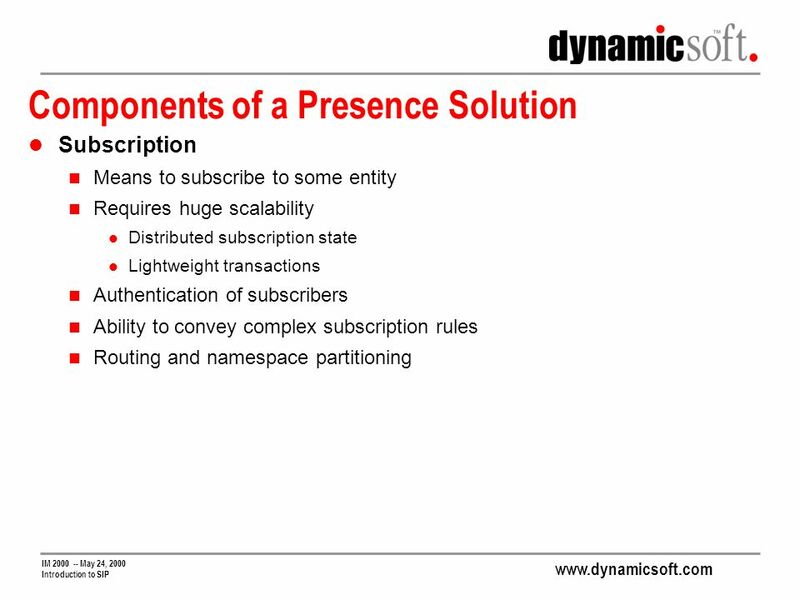 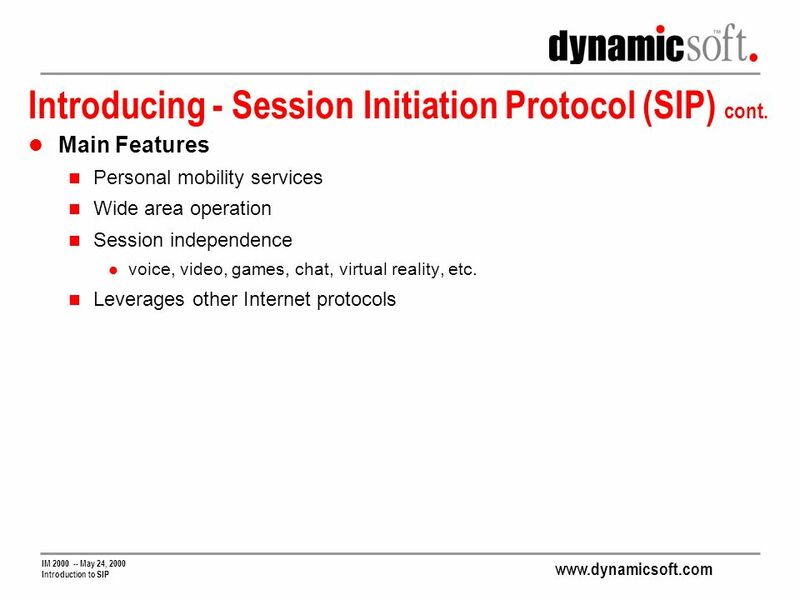 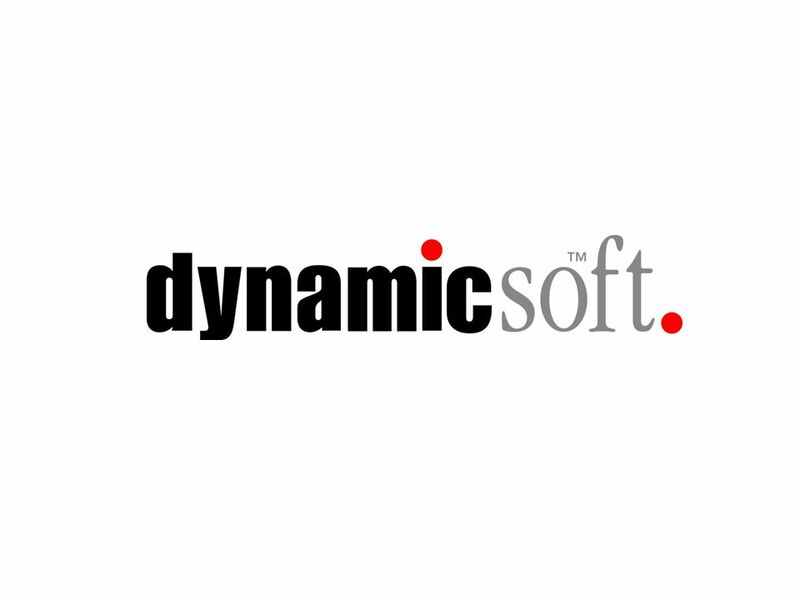 www.dynamicsoft.com IM 2000 -- May 24, 2000 Introduction to SIP Jonathan Rosenberg Chief Scientist. 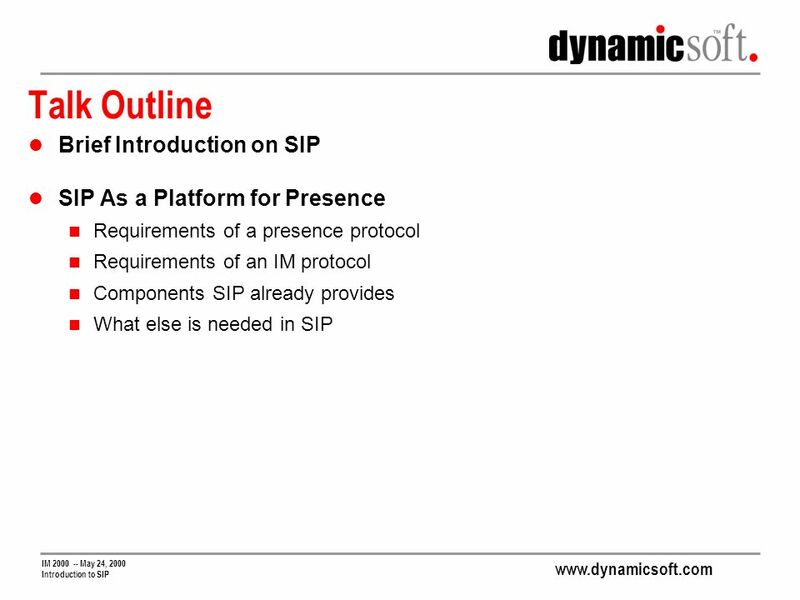 Download ppt "www.dynamicsoft.com IM 2000 -- May 24, 2000 Introduction to SIP Jonathan Rosenberg Chief Scientist." 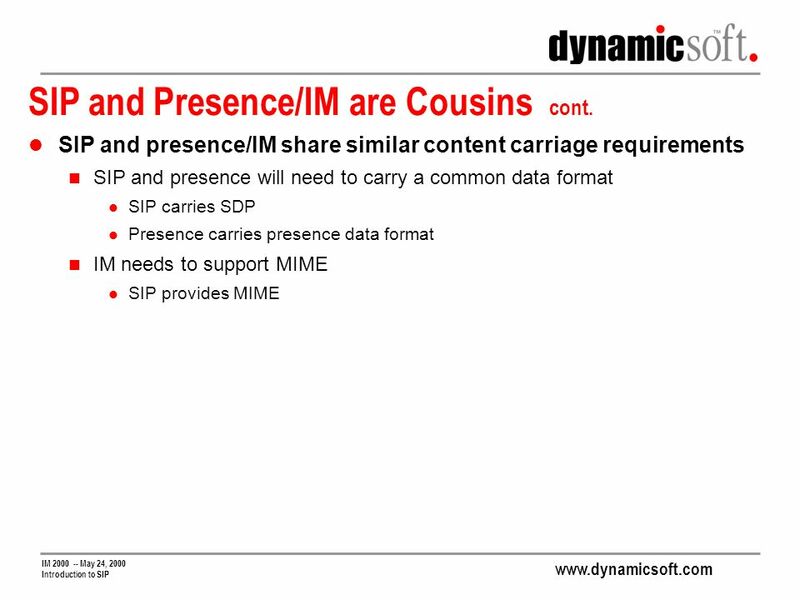 U N L E A S H I N G A S E R V I C E S R E N A I S S A N C E WCF The Future of the Internet - What Will Tomorrow Bring? 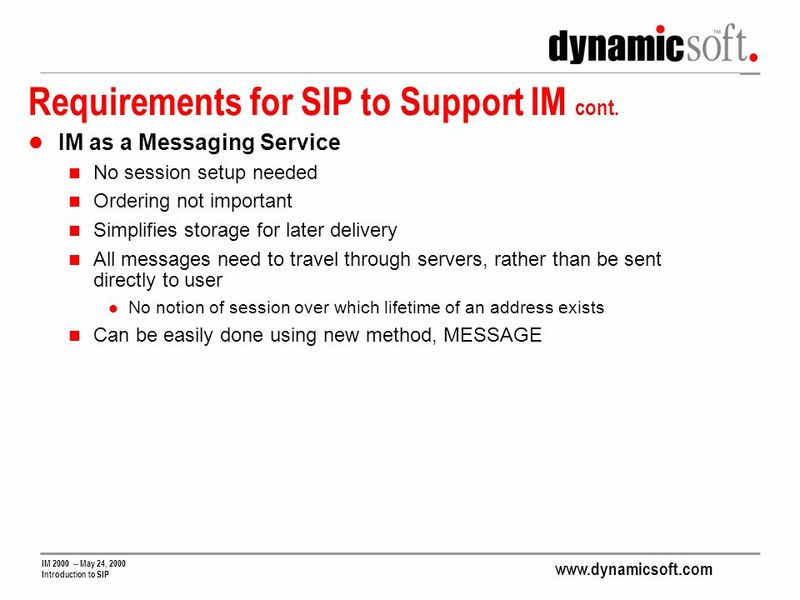 SIP, Firewalls and NATs Oh My!. 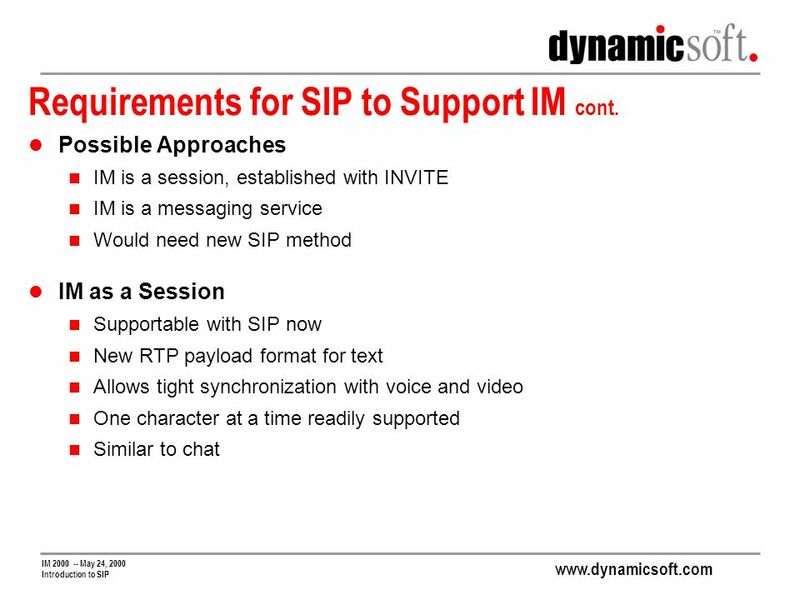 SIP Summit SIP, Firewalls and NATs, Oh My! 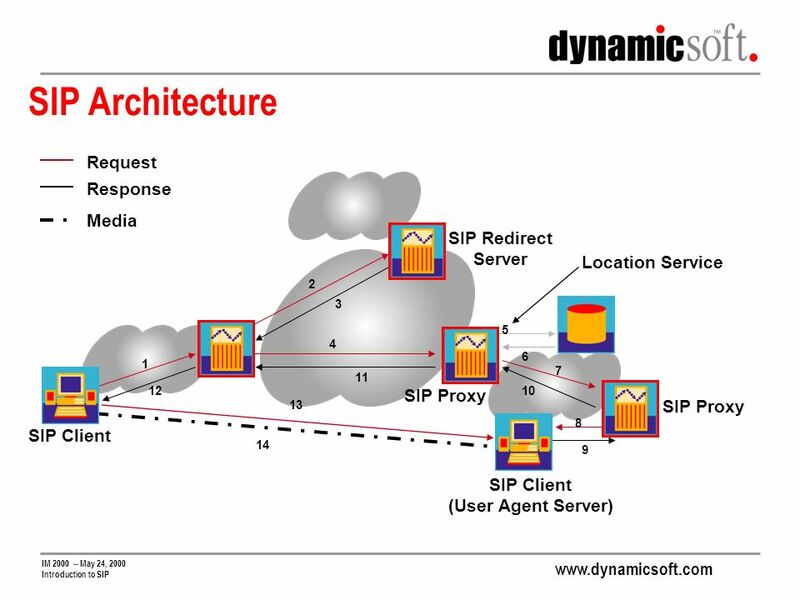 Getting SIP Through Firewalls Firewalls Typically. 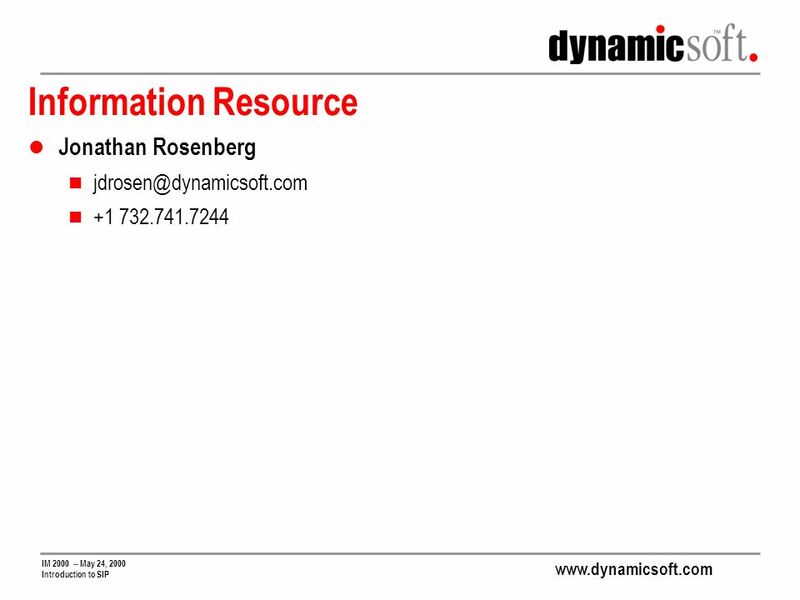 VoN Developers Conference -- July 2000 Introduction to IMPP Jonathan Rosenberg Chief Scientist. 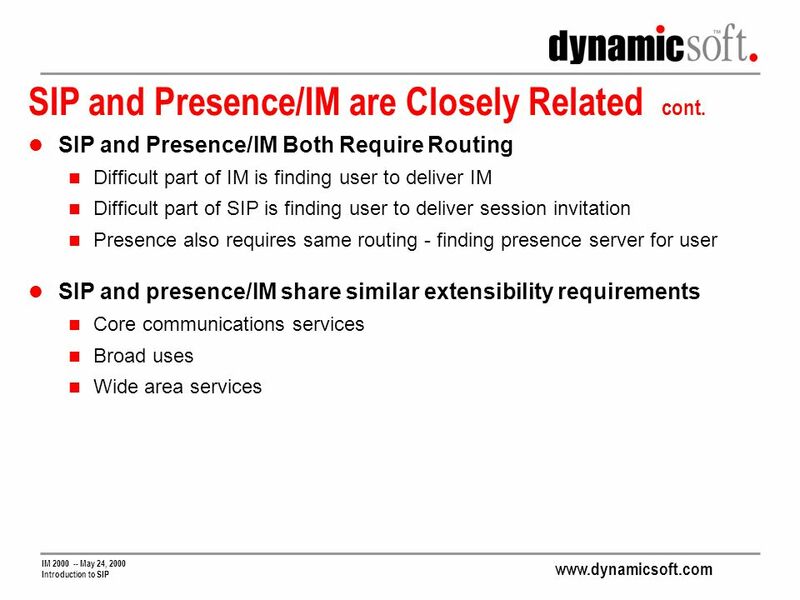 Industry Perspective. 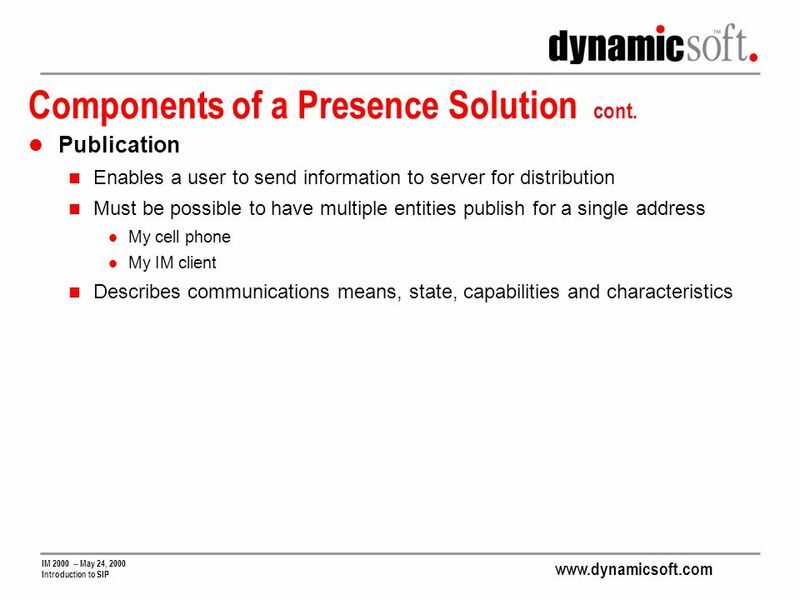 VON The Current Environment Its Tough Out There! 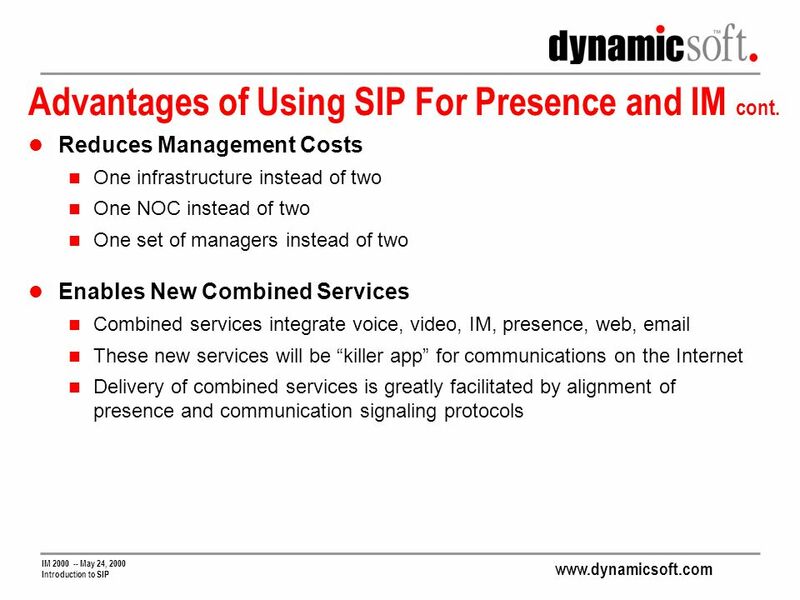 Free has become a dirty word Internet communications. 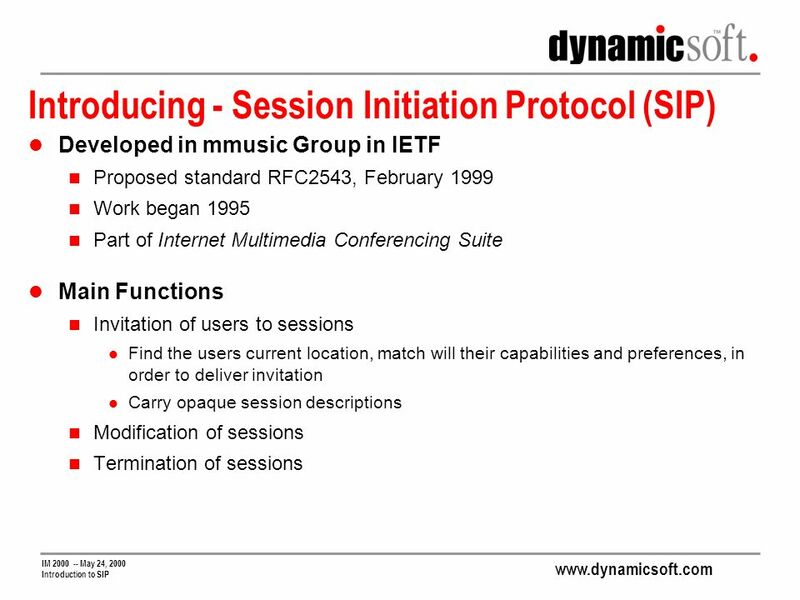 SIP and Other IETF Standards Update Jonathan Rosenberg Chief Scientist. 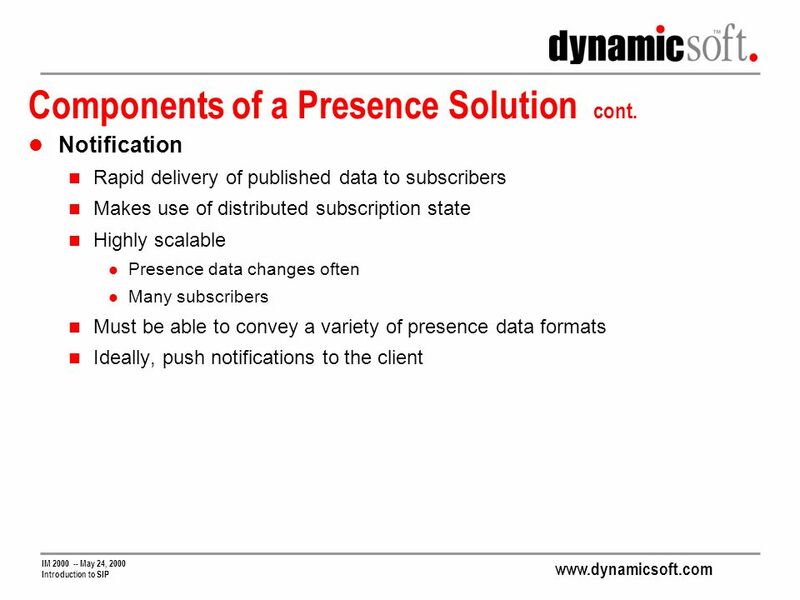 IM May 23-25, 2000 Evolution of IP Based Presence Services Evolution of IP-Based Presence Services Jonathan Rosenberg Chief. 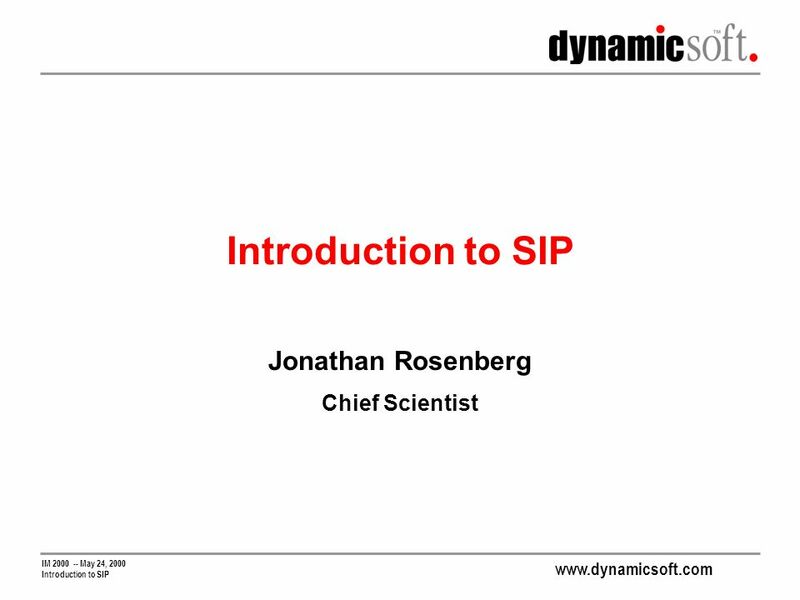 SIP: Ready to Deploy Jonathan Rosenberg Chief Scientist.